Hi - This blog is a New Hampshire Day Hiker's Blog that may be of interest to hikers in the New England region. Here, I talk about my hikes, gear, nature, wildlife and a little bit of history. Enjoy! I had a few days off last week, so we decided to go on a family hike. A mountain that Jill and I have frequented often is one that the kids had yet to tackle. It’s close by to us, when compared to the Whites, but still has the prominence and nuances of a great peak in the north country. The mountain I’m speaking of is Mount Major in Alton, NH. The kids are 7 and 4 years old now, so we’ve finally graduated to the point where they can make it up to a summit (of reasonable distance and difficulty) and back to the car on their own fuel. This is a great feeling as a parent because you know they’re putting in the labor to get to that summit and that really contributes to the rewarding part in my eyes. 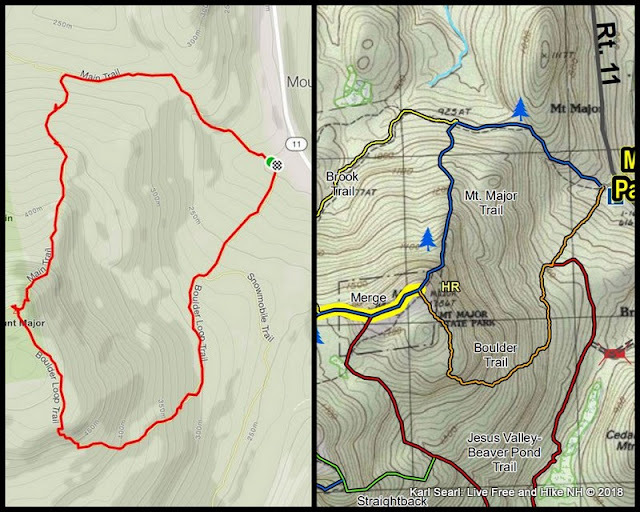 We ascended the Mount Major Trail (1.5 miles, blazed in blue) to the summit over the open ledges, and descended the Boulder Loop Trail (1.6 miles, blazed in orange) on the southern side of the mountain. The ledges were difficult for them having such little legs, but they had fun. We spotted a ton of mushrooms along the way, but we unfortunately missed the blueberry season. The kids had a great time exploring the stone building at the top known as Mr. Phippen’s Hut! It was really a great day. Blue bird skies paired with a panoramic view of Lake Winnipesaukee always take your breath away. After the hike, everyone was hungry, so we grabbed drinks and a late lunch at the Ellacoya Barn & Grille which was great! I would highly recommend this location for any post Belknap hikes in your future! Whether you’re a beginner or experienced, no matter what your age is, Mount Major is a staple. It has a little bit of everything to enjoy. The terrain is not too easy, but also not too hard. It has a bald summit and 360-degree views including a wide view of Lake Winnipesaukee. It has open ledges to scramble for fun. It has a USGS benchmark and a cool, creepy stone structure at the summit. For a small mountain and a 3 mile round trip route, it packs a huge punch. A notable item that I wanted to mention is there’s a cool bog near the summit on the Boulder Loop Trail, on the west side. There was no sign for it and as far as I can tell, it has no name. It would be cool to see if any older maps of the mountain point to this bog in any way. Unknown bog near the summit on the Boulder Loop Trail. I'd like to learn the name if there is one. The Quechee Gorge is a very cool stretch of Ottauquechee River that has carved its way down, 165 feet into the earth over the past 100,000 years. The geological history of this massive gorge is impressive and dates back to the ice age. 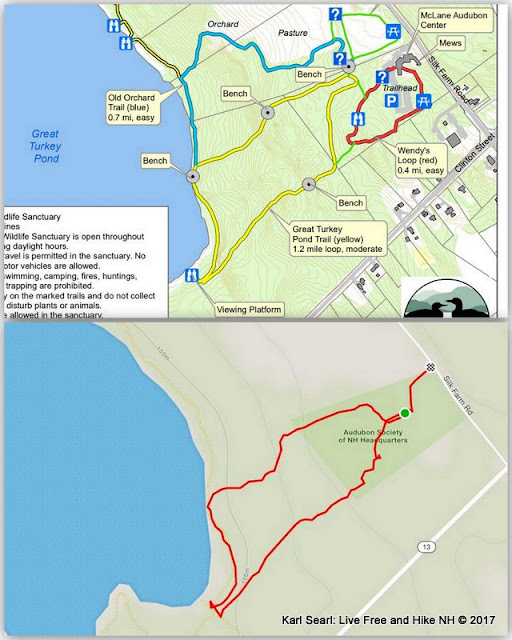 Vermont’s State Park website has a great trail map for this gorge and surrounding park area. It also has a second page with a thorough geological history which I encourage you to read. You can check this map/document out here. Below are some pictures I took with my phone while standing on the small, narrow bridge over the gorge on US Route 4. It’s super impressive and worth a quick 5 minute excursion off the highway if you’re in the area! View of the Quechee Gorge from US Route 4 bridge looking north. The picture doesn't do it justice...the view is great and you are pretty high up. View of the Quechee Gorge from US Route 4 bridge looking south. Looking straight down from the bridge on the south side. One of my favorite locations in the White Mountains is the Crawford Notch. Whenever we make our way down US-RT 302, we’re usually headed westbound from Jackson, NH to our hiking destination for the day. This notch seems surreal to me at times, surrounded by mountains, both big and small, rivers, waterfalls, railway trestles, etc. It seems to have a little bit of everything that makes the White Mountains so special. One memorable sight that I recall from my very first drive through the Crawford Notch is a wall of ledge that comes into view around the Historical Willey House Site heading west. This cliff wasn’t the tallest peak around us by any means, but certainly dictated prominence over many of the 4,000-footers that surrounded it. Of course, the rock face I’m talking about is Mount Willard. We’ve hiked Mount Willard in the past. It’s an easy hike up a gentle carriage road and gives you a spectacular view down the notch to the south. It also has a lot of history. Like many mountains in the Whites, at one time there was a lot of activity to its summit by means of both a carriage road and an auto road. 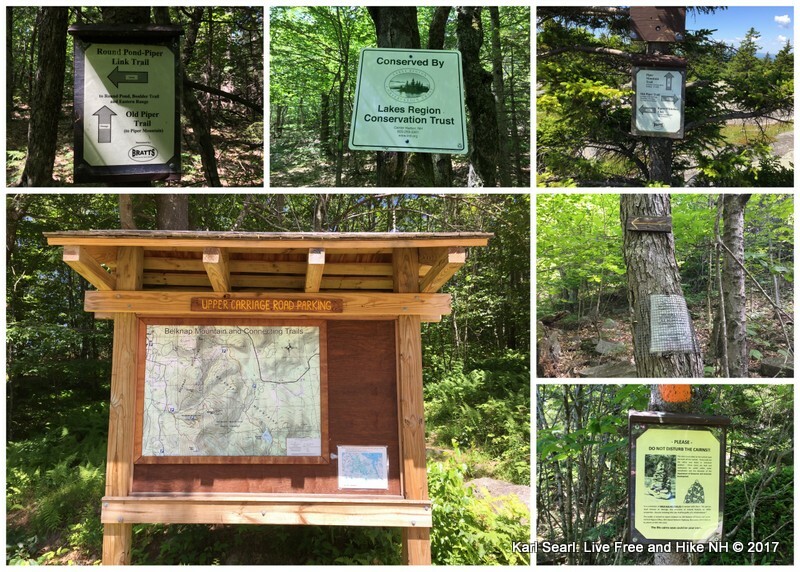 There was also a small trail network on the mountain, which brought hikers to surrounding destinations such as the Hitchcock Flume, Devil’s Den and Rotten Gully. We started our hike at the Crawford Depot on the Avalon Trail, although we weren’t on it for long. Just 0.1 miles in, the Mount Willard Trail breaks left and heads south, but soon turns west again. The terrain is a bit rocky but the grades are gentle enough that my 3 and 6 year old children had no problem with the trail at all. At 0.5 miles we were able to take a break at Centennial Pool. After our break, the trail turned south again and climbed a bit more steeply for about another half mile before it joined up with the remnants of the old carriage road. The old carriage road was very smooth and nearly flat. Every 100 feet or so, you came to old, concrete drainage pipes that were becoming unearthed beneath the carriage road due to erosion. The kids had a fun time looking for them and always trying to find “the next one”! Near the top, about 0.1 miles from the summit on the east side of the trail, there’s an unmarked and hard to spot spur trail. This trail leads down to the Hitchcock Flume. Unfortunately, either due to safety or due to resources, this spur trail is no longer maintained. One day, when I’m not with the kids, I plan on exploring the Hitchcock Flume via this trail. When we finally reached the summit at approximately 1.8 miles, the view was superb. As previously mentioned, to the south you can see down the Crawford Notch, both the highway and train tracks look like small squiggly lines. You can see the train trestles below Mount Field (I think), Willey Pond and the Saco. On the east side of the ledges, the Presidentials can be viewed from Jackson to Washington and to the west, Willey and Field. I think one of the most impressive views Willard offers are the closeups of the Webster Cliffs. Whether you’re up for a relaxing hike or something that’s kid friendly, you can’t lose when choosing Mount Willard. For a small effort, the rewards are huge. We’ve been lucky as we’ve always hit the summit early and have never run into any large crowds. But I have heard it does get pretty busy. 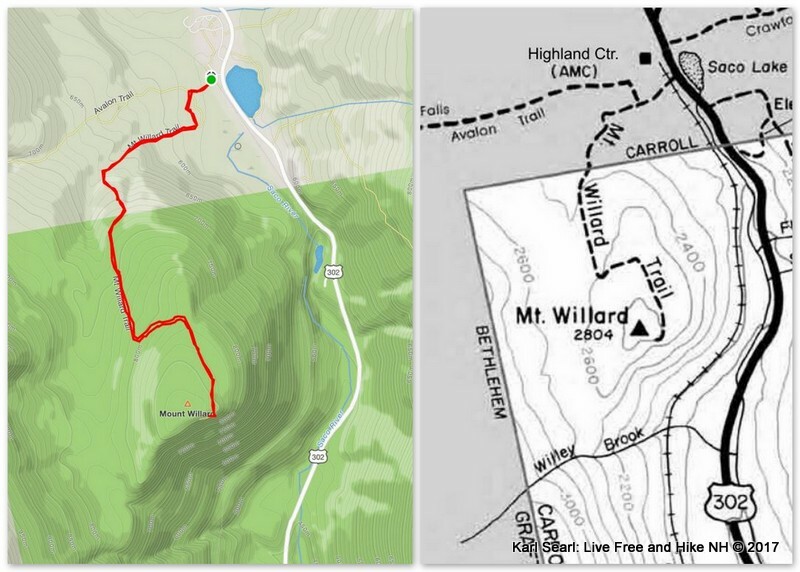 If you hike New Hampshire mountains, Mount Willard is a “must hike” mountain. And the cherry on top is, if you are a peak-bagger, you can check this one off your 52 With A View list! The Gondola at The Moat Mountain Smokehouse & Brewing Co.
We stay up in the north country at least once a year for a few nights. When we do, it's typical that we stay in the Jackson, NH or Conway, NH area. Since it's an annual trip, it's not surprising that we have a few local favorites that we like to visit. One of which is the Moat Mountain Smokehouse & Brewing Co. Their great beverage selection along with their ability to cook a phenomenal, well-done burger without burning it, always makes this venue one of our first meal stops during our trip. It's also very kid friendly which is must for us. Outside the brewery right next to the walkway is a really cool, antique ski gondola. The gondola is covered in stickers, all of which I assume were placed there by loyal customers. It's very cool lawn art! Every year we go there, I think to myself, "I wish I brought a Live Free and Hike NH sticker to stick on there"...but I always forget. This year, however, Jill reminded to bring one up and I finally got my sticker on the gondola!!! I found a place to stick it right next to a running club's sticker that I also belong as a member, although I'm not too active in, The Winner's Circle Running Club. So, if you make your way to Moat Mountain Smokehouse & Brewing Co., check out my sticker on your way in! 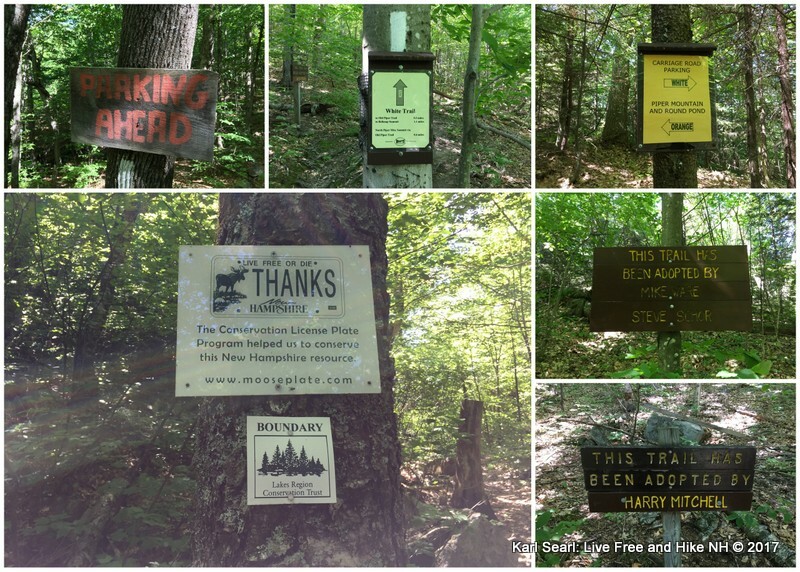 We recently hiked up Piper Mountain, which is part of the Belknap Mountain Range just south of Belknap Mountain. Piper Mountain has two peaks in close proximity, both a south and north, the south being the prominent one at 2,044 feet. 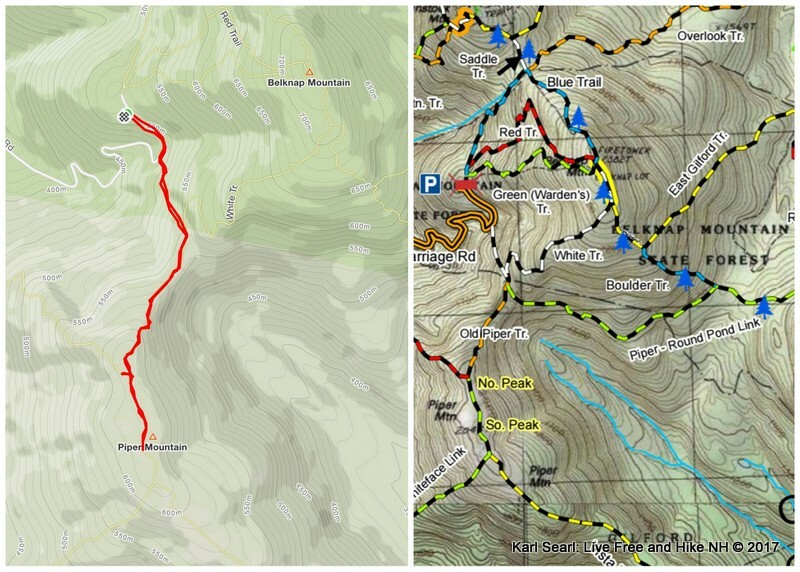 There’s a ton of info regarding the trail network for this mountain as well as others in the Belknap Range at belknaprangetrails.org/. On this site you can find detailed trail descriptions and a great 11x17 pdf map of the range. We hiked the mountain starting from the Belknap Mountain Carriage Road upper parking area. From here, we hiked a short distance down the carriage road about 0.2 miles until the White Trail entered the woods to the south (just after the bridge). This trail descends gently over nicely groomed trails for a short distance into the col between Piper and Belknap. Here, it splits at a junction with the Old Piper Trail. Walk down the Carriage Road. The trailhead for the White Trail is just over the bridge on the left. The Old Piper Trail veers to the right and continues with orange blazes through mostly hardwood. The trail, like much of the Beklnap Range trail network, is nicely groomed and maintained. The forest slowly gives way to shorter trees and ledge footing with some decent views to the northeast. Soon, the trail turns to open ledges with great views to the east at the north peak. This location is also the end of the Old Piper Trail and beginning of the Piper-Whiteface Link Trail. We continued over the ledges, through blueberry scrub to the true summit at the south peak. The views were better on the north peak so we back tracked there for lunch. The north peak had a great view of Belknap Mountain with the cell tower and fire tower in visible. There were also nice views of Mount Suncook, Mount Klem and Mount Mack. Also, there was a body of water poking out from behind some peaks. I think it was Round Pond, but may have been portions of Alton Bay on Lake Winnipesaukee. There was also a great view of a mountain to the West, but I did not have a map that had terrain that far enough out to identify it. Zoom in of a mountain to the northwest, not sure which one...maybe Cardigan??? We headed back down the same way ascended making the round trip about 2.4 miles. This was a great, short hike with rewarding views. I highly recommend it as family friendly, especially for small kids. 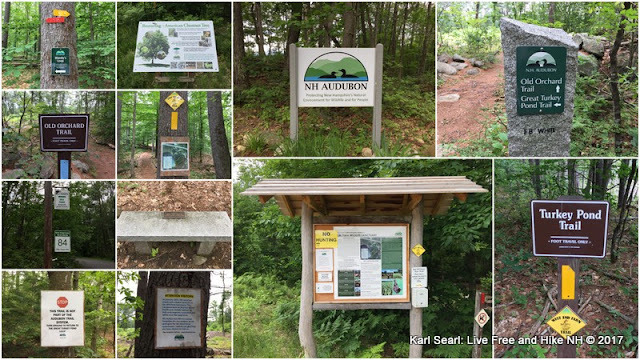 A few days ago, I decided to check out the nearby Concord NH Audubon Society trail network located at the McLane Center off from 84 Silk Farm Road. The trailhead for this network begins at a kiosk located on the backside of the parking lot. The trails are well blazed and loop into each other allowing hikers to create a trek that can range from fractions of a mile to multiple miles. My route was taking Wendy’s Loop counterclockwise (red trail) to the Great Turkey Pond Trail, again counterclockwise (yellow trail) and back onto Wendy’s Loop. This compound loop hike was approximately 1.2 miles, brings you through some nice terrain ranging from hardwood to pine groves, was flat and gives you nice vistas of Turkey Pond where I’m assuming wildlife viewing is prevalent. It was overcast and rainy when I visited so I didn’t see much in the way of wildlife. Below are some pictures from this hike. It’s a great place to spend a lunch break or bring kids to enjoy nature! 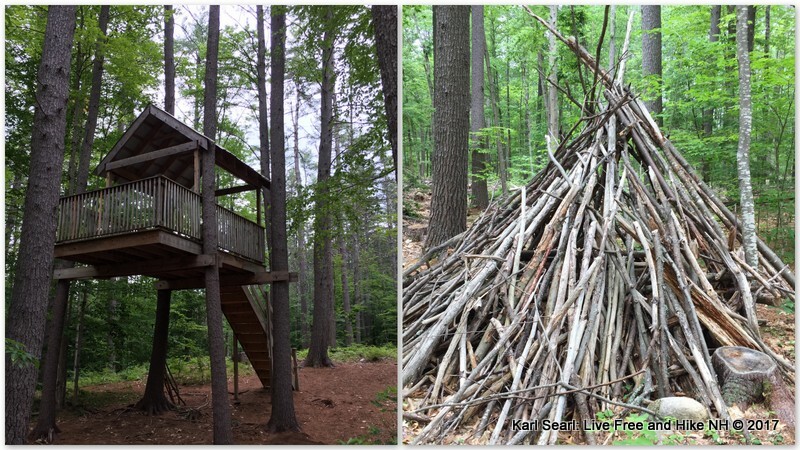 Last week, I was home with my wife and son…and it was beautiful out. 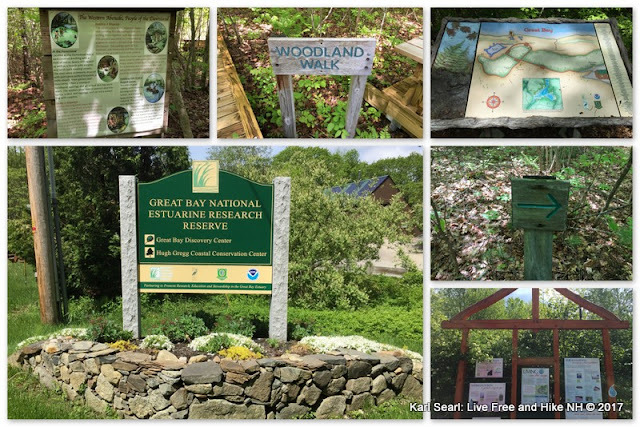 Since we only had a little time to spare due to other errands we had to run, we decided to check out the close by Great Bay Discovery Center in Greenland, NH (I thought this was in Stratham but it says Greenland online). This Discovery Center is located at 89 Depot Road (the very end of the street) and has a large facility with an exhibit room which is open Wednesday through Sunday from 10am to 4pm. Unfortunately for us, we went on a Tuesday so it wasn’t open. 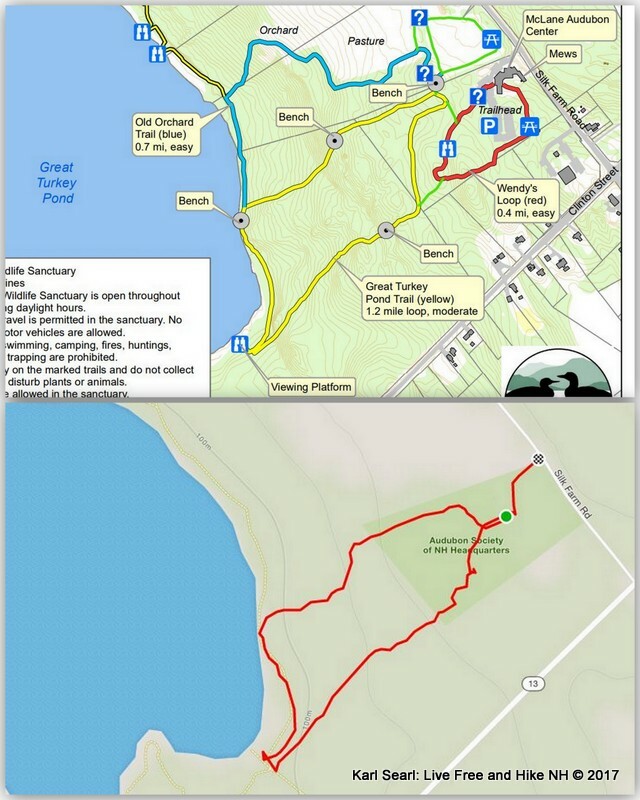 There’s a small trail network behind the center that hugs the banks of Great Bay. The trailhead is located behind the main building and heads west. 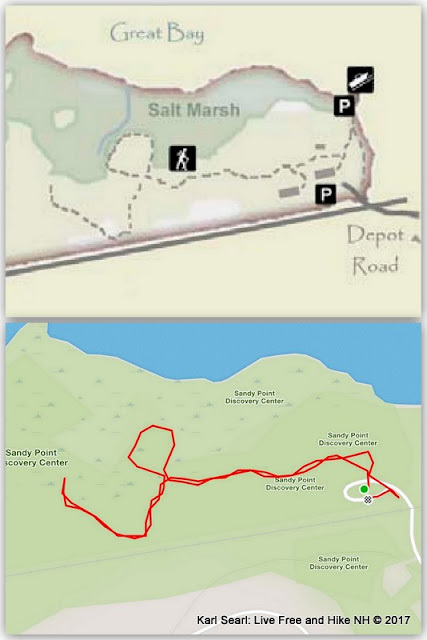 It quickly turns into the Boardwalk Trail and is about 1,700 feet in length. It brings you down to the banks of Great Bay to a location known as Sandy Point. The boardwalk is level and has signs setup along the way teaching travelers about the different wildlife that make up the ecosystem within Sandy Point. 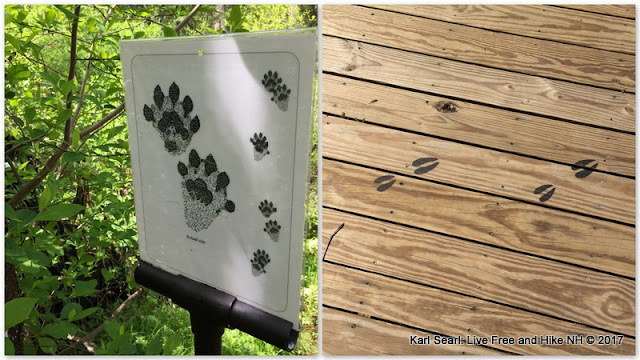 There are also sets of wildlife footprints painted on the boardwalk that match up with the wildlife signs close by. My 2-year-old loved following them. 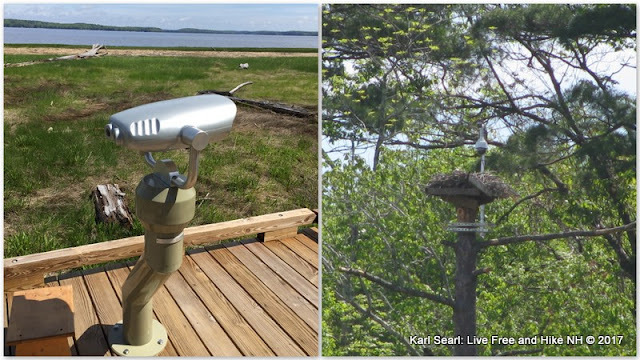 At the end of the boardwalk, there is a view finder that looked to the east toward an osprey nest which was very cool. On the short hike back, near the beginning of the boardwalk, we took a right at an intersection and headed further west on the Woodland Walk Trail. 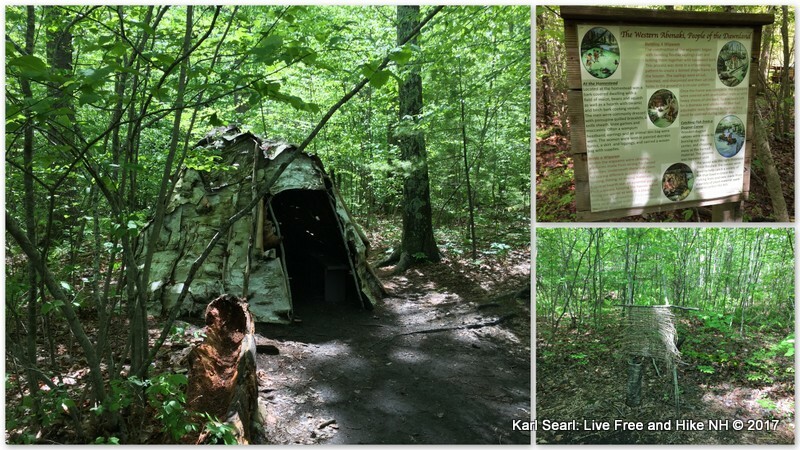 This trail immediately brought you to a mock Western Abenaki camp dwelling with a tee-pee like structure and some informational signage. Past this, the Woodland Walk Trail drove deeper west, but became very muddy. We made it to the end but could not get out to the bank of the bay due to the wet trail. So, we turned around and headed back to the Discovery Center parking area. 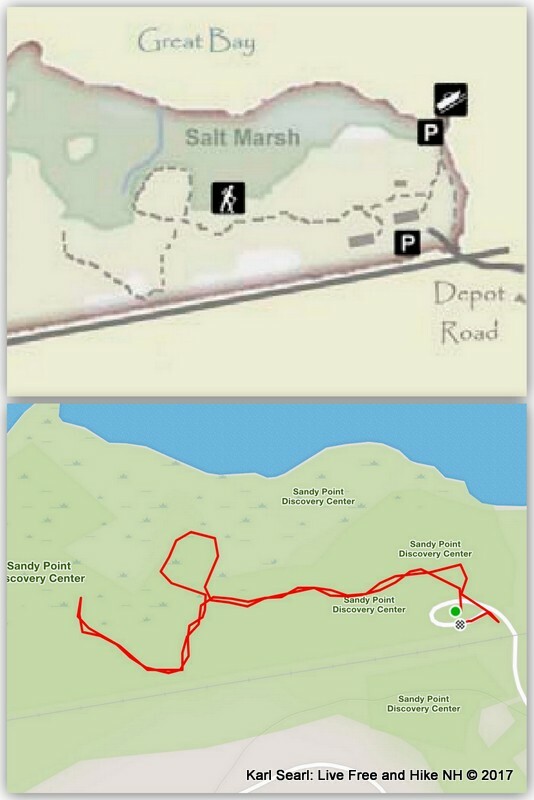 This trail network is about 1 mile in length, round trip. It's a fantastic little hike for little ones since it was mostly made up of a boardwalk, had some great visual teaching signs and was overall short. The GBNERR (Great Bay National Estuarine Research Reserve) also has a great little passport for kids to check off where they’ve been and learn about the bay. A link to this, and all the maps associated with Great Bay can be found here. I’ve lived in New Hampshire most of my life and currently reside in the seacoast region with my wife, Jill, my daughter, Lylah and my son, Cam. By profession, I lead an engineering team, but my true passion lies in the White Mountains of New Hampshire. 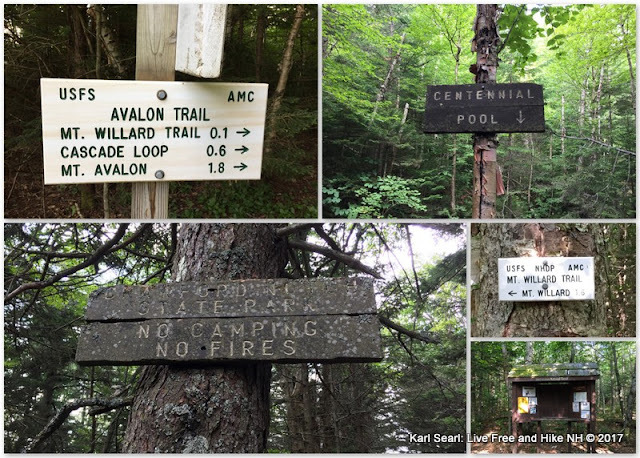 Whenever possible, I try to get out on the trail with my family and friends and enjoy what the New Hampshire wilderness has to offer. I’ll share these adventures and thoughts here, with you! “A mountain has no need for people, but people do need mountains. We go to them for their beauty, for the exhilaration of standing closer to mysterious skies, for the feeling of triumph that comes from having labored to reach a summit.” – Earl Hamner, Jr.
Help us win a trip to Montana! All content in this blog, including pictures and text, are property of the creator of the blog, Karl Searl, unless otherwise noted. Content cannot be used, copied or distributed without consent of Karl Searl. Simply, please do not steal my stuff! You are more than welcome to link back to my blog via blogrolls, mentions in articles, Facebook, Twitter, etc. If you have any questions, please just ask. I'm a pretty reasonable guy and want to share my blog with as many people as possible. I appreciate you stopping by and reading. Thanks! - Copyright © 2010-2018. All Rights Reserved! Live Free And Hike New Hampshire by Karl Searl is licensed under a Creative Commons Attribution-NonCommercial-NoDerivs 3.0 Unported License. Copyright © 2010-2018 All Rights Reserved. Simple theme. Powered by Blogger.